The new directors, practicing in dispute resolution, private client and property have been appointed by Newtons solicitors, which has offices in Harrogate, Knaresborough, Ripon and York. Articles were also featured in Ackrills and Leeds and York Press. They are senior solicitors, Rob Minors, who heads up dispute resolution; Elizabeth Webb, who runs the firms Wills, Probate and Tax Planning Department and the head of property, John Paice, who also manages the newly-launched York office at Northminster Business Park. The directors will work within separate divisions and report to managing director, Chris Newton, who founded the business with his wife and fellow director, Sarah, in 2009. Managing director Chris Newton, says “the business has grown far beyond our wildest dreams and it is no longer feasible for Sarah and I to manage the business on our own. “These latest appointments reflect the commitment and success of the team so far and will enable me to concentrate on more strategic development, particularly as a number of other acquisitions are presenting themselves. Rob Minors, who was a partner at Raworths, Harrogate, before joining Newtons, qualified in 2002 and specialises in commercial litigation, insolvency and contentious probate; Elizabeth Webb qualified as a solicitor in 2004, having previously qualified as an attorney at law in California in 1992 and now specializes in Wills, Probate and Tax Planning. John Paice qualified in 2008, specialises in commercial and residential property, and also works on debt enforcement and property management company issues. 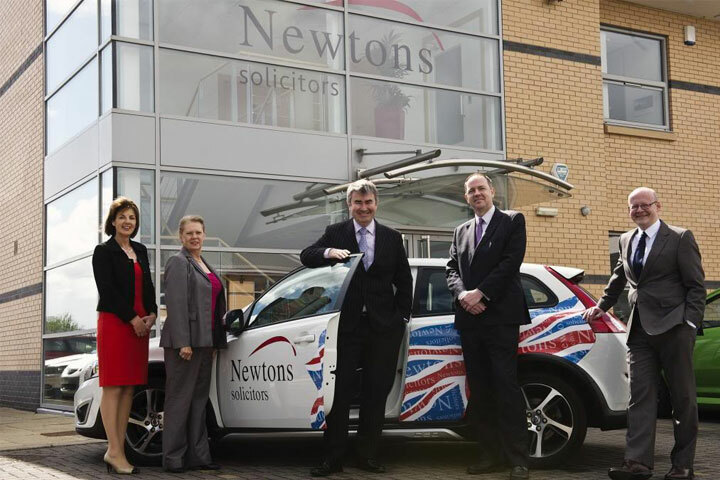 He joined Newtons last November (2012) to establish its office in York where he has worked for the past six years. “Our business structure works far better than traditional law firm partnerships where all partners typically seek to be involved in every aspect of running the business. Newtons Solicitors, which bucked the legal sector trend by announcing a 75 per cent growth at the end of 2012, launched its York office in January and has 29 staff working across a broad spectrum of legal disciplines.